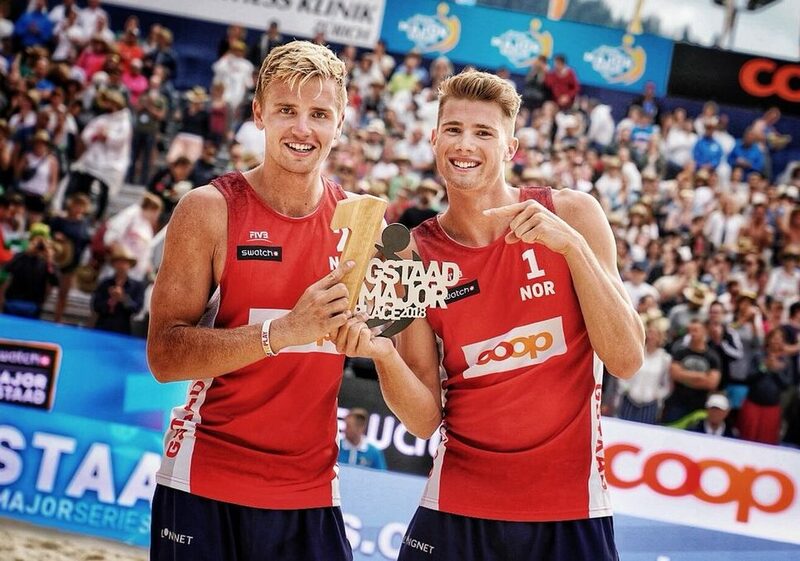 Norway’s Anders Mol/Christian Sorum took on Spain’s Pablo Herrera/Adrian Gavira for the Gstaad Major gold on Saturday, but their 21-18, 21-12 victory meant much more than just a piece of hardware. No. 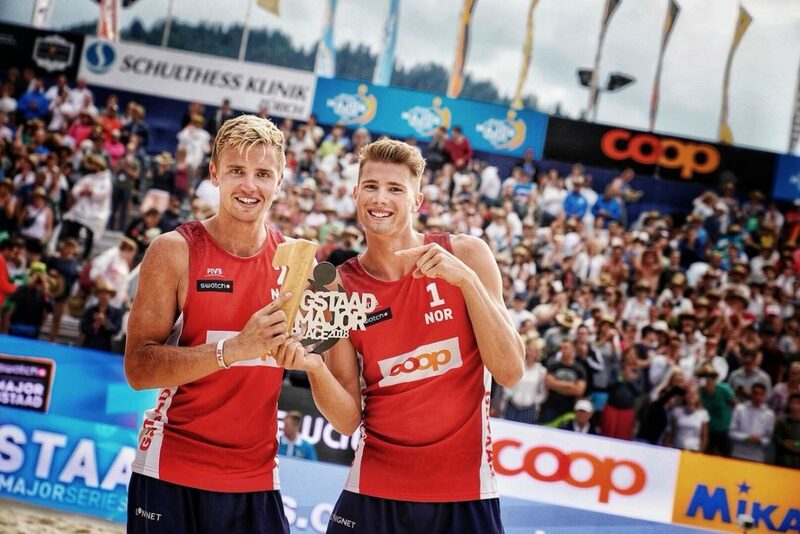 15 Mol/Sorum claimed Norway’s first FIVB World Tour gold medal since 1998 when Vegard Holdalen/Jorre Kjemperud won the Berlin title in the 77th FIVB sanctioned men’s event. The Gstaad Major is event No. 400 on the men’s tour. Saturday marked Mol/Sorum’s second title shot in 2018, following a runnerup finish at the Itapema Four Star. Prior to that, a July 4, 2010 effort by Tarjel Skarlund/Martin Spinnagr in Stavanger, Norway, marked the country’s only other title match appearance since 1998. In addition to the national significance of their gold medal, the pair also made history as the youngest duo ever to win a Beach Volleyball Major Series event. Mol/Sorum rallied past 21st-seeded Americans Taylor Crabb/Jake Gibb in Saturday’s first semifinal, 21-17, 21-23, 16-14. No. 6 Herrera/Gavira made the final after topping Italy’s No. 12 Paolo Nicolai/Daniele Lupo in straight sets (30-28, 21-18). Herrera/Gavira were seeking their second FIVB title of the season in their 100th World Tour match, following a gold medal at the Ostrava Four Star on June 24, but the silver gave the pair its third podium finish of the year, including a bronze on Huntington Beach on May 6. Nicolai/Lupo bested Crabb/Gibb in tiebreak (17-21, 21-16, 20-18) for the bronze medal, which marked their second podium finish of the year, following a runnerup effort at the Fort Lauderdale Major on March 4. The duo earned bronze at the 2017 World Tour Finals in Hamburg and picked up four other World Tour medals in 2017. Despite the loss, Crabb/Gibb achieved their best finish as a duo, topping fifth place finishes at the Long Beach Presidents Cup (July 16, 2017), Rio Four Star (May 21, 2017) and Fort Lauderdale Five Star (Feb. 11, 2017). The pair finished ninth at three of their six prior tournaments in 2018.